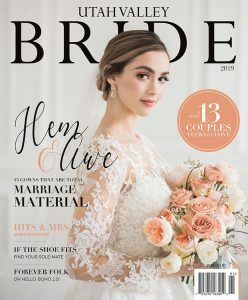 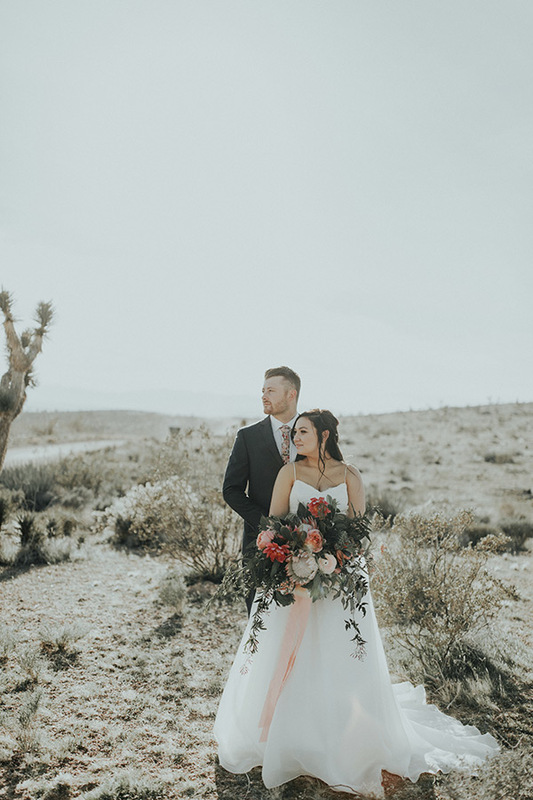 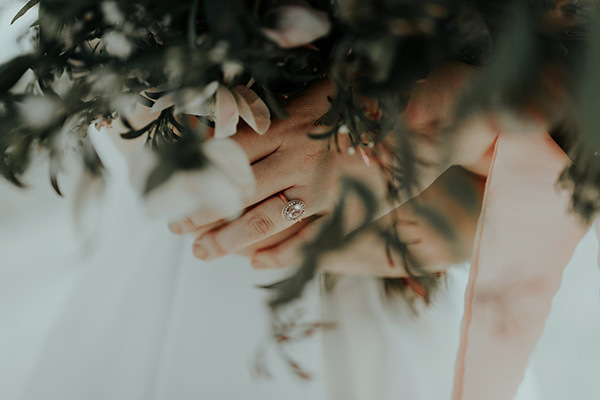 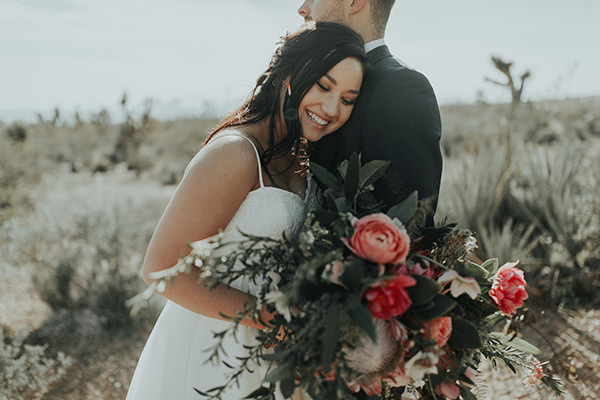 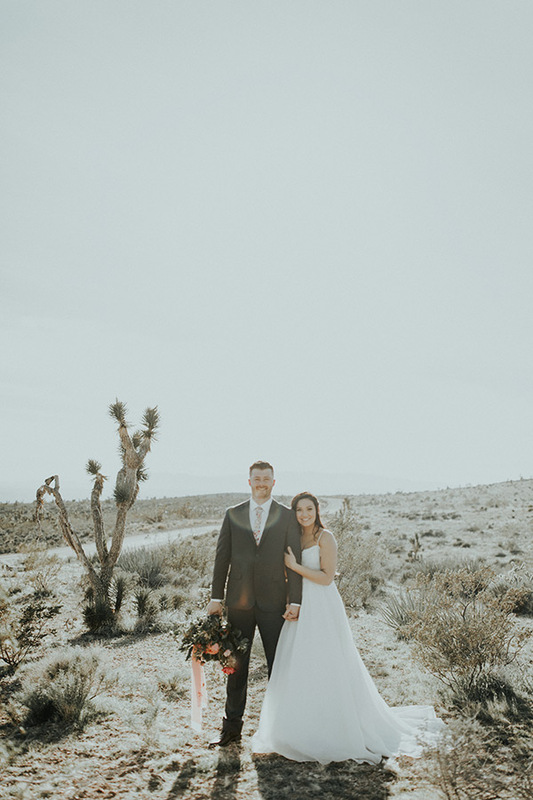 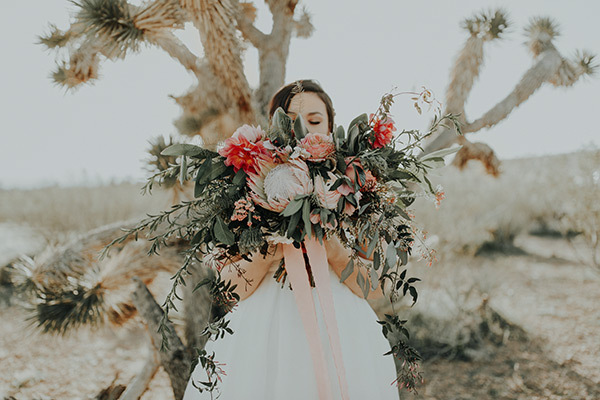 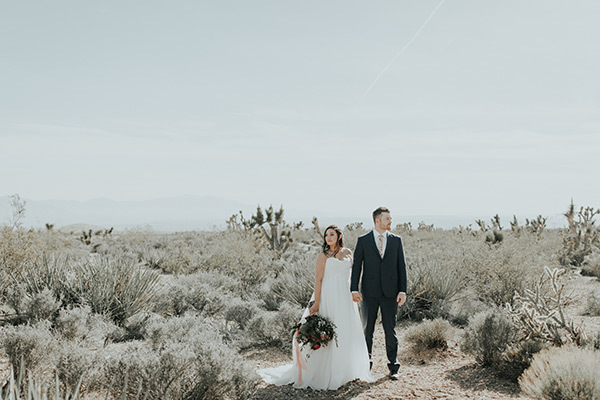 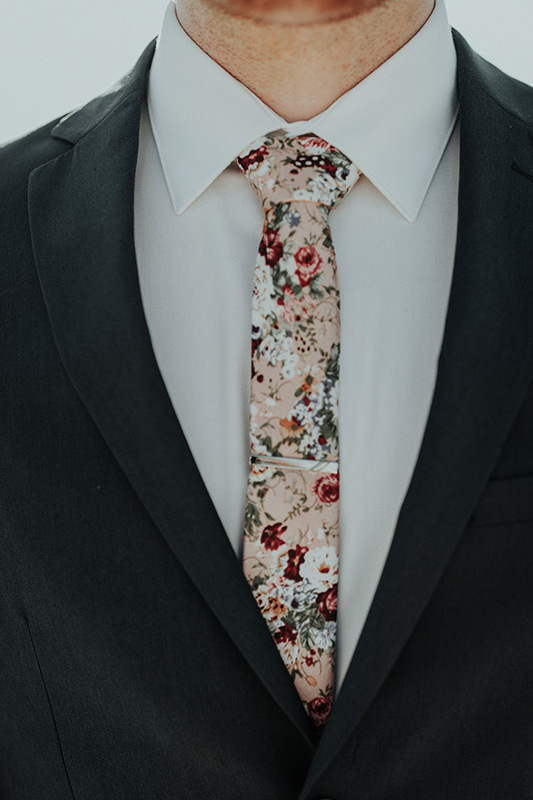 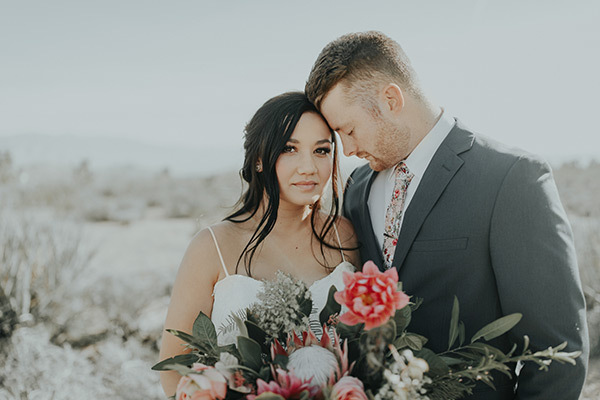 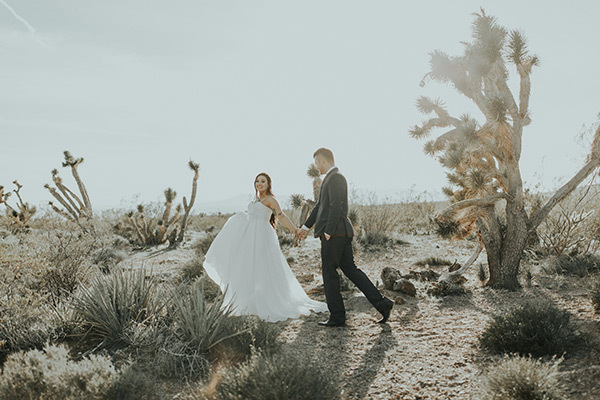 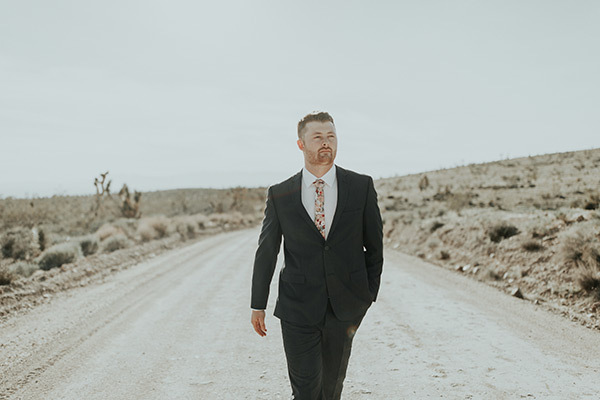 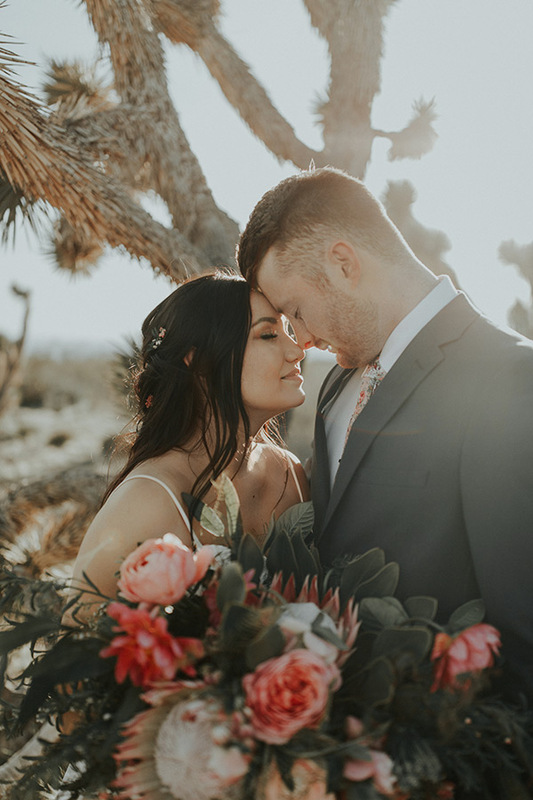 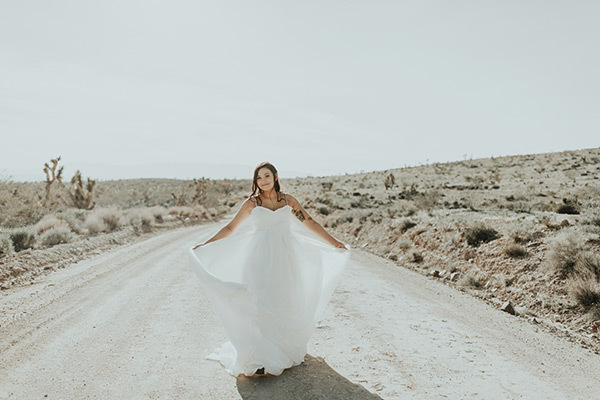 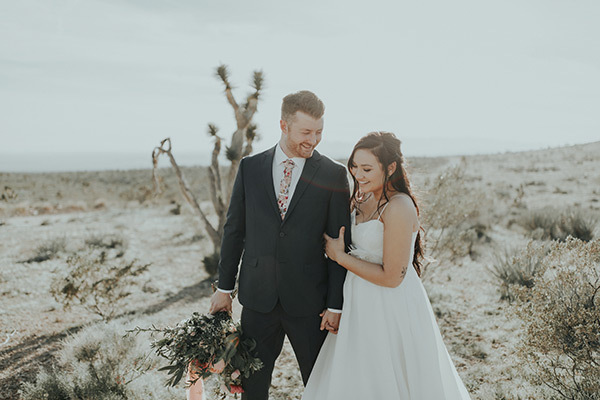 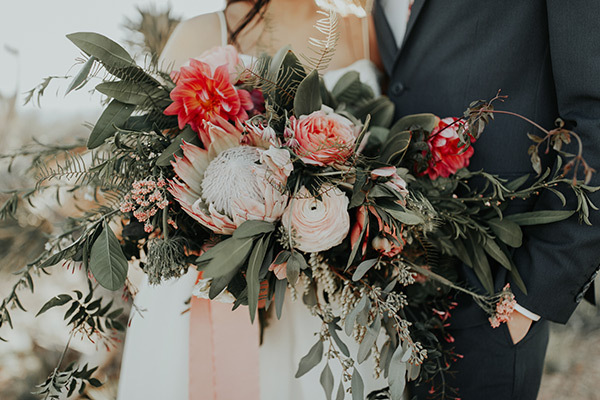 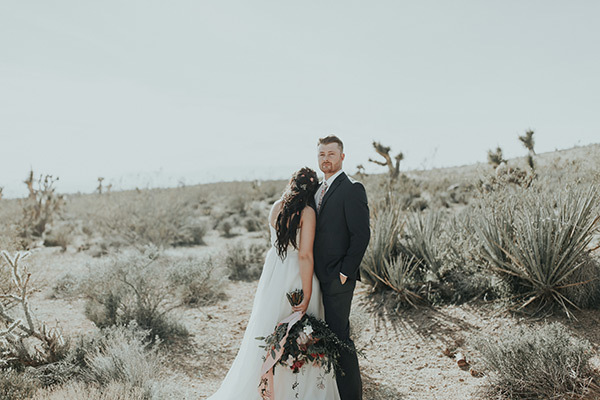 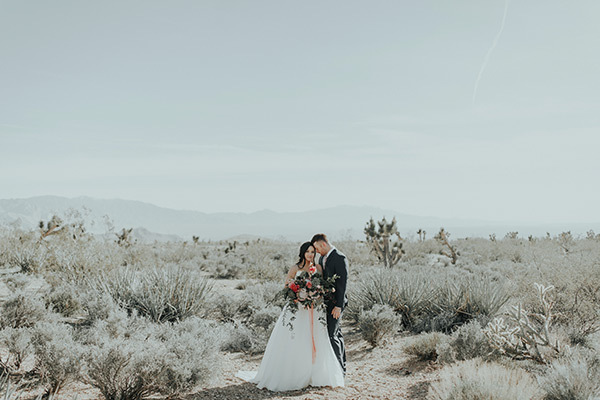 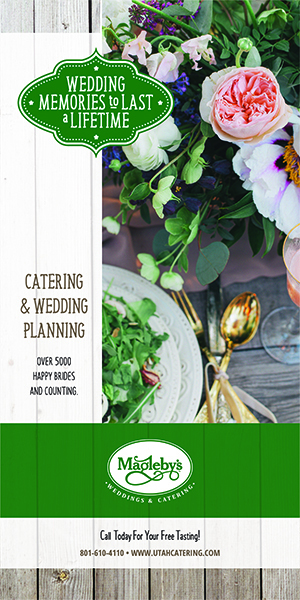 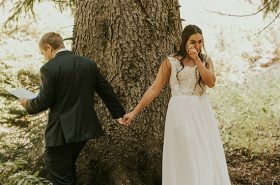 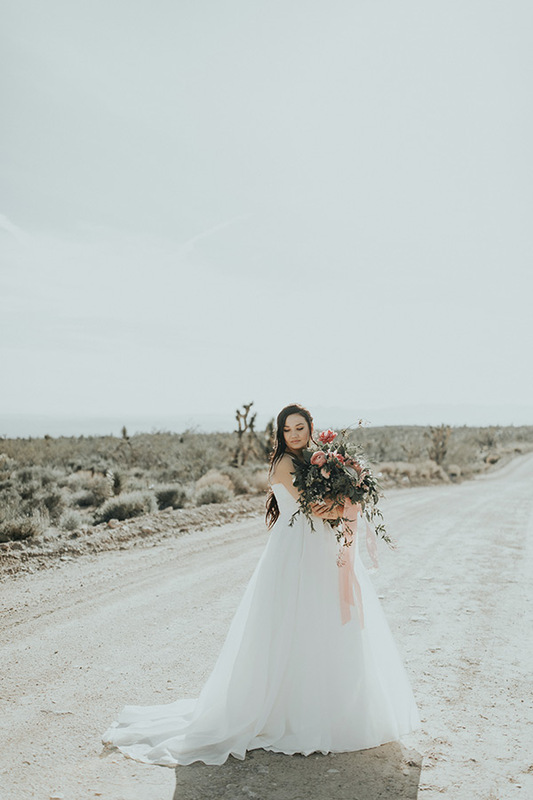 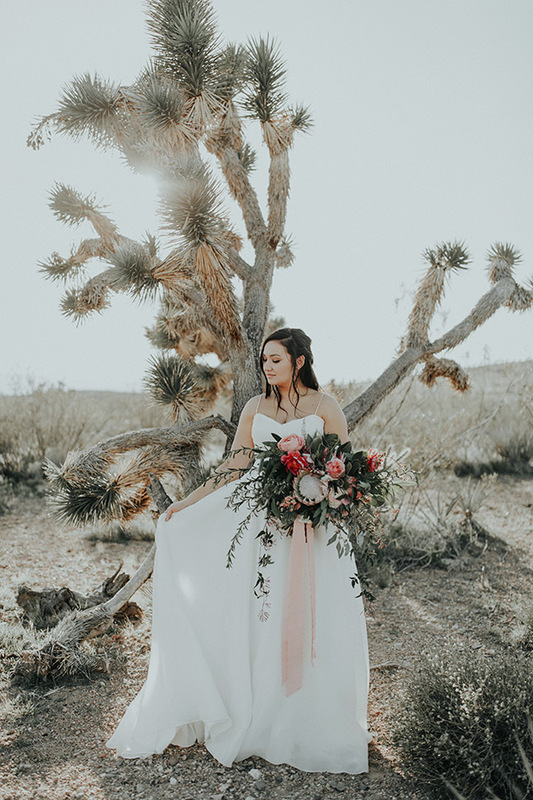 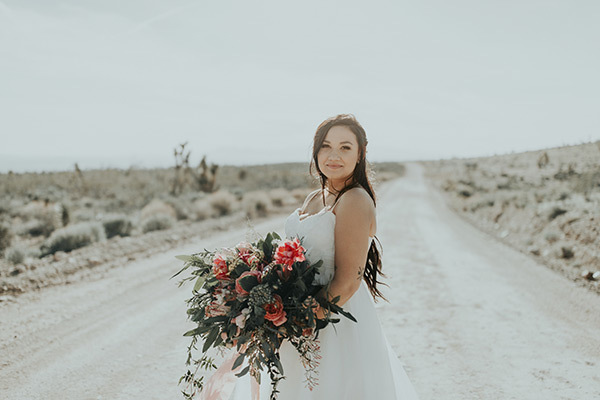 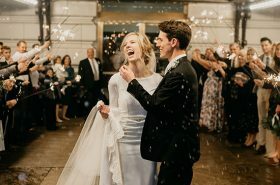 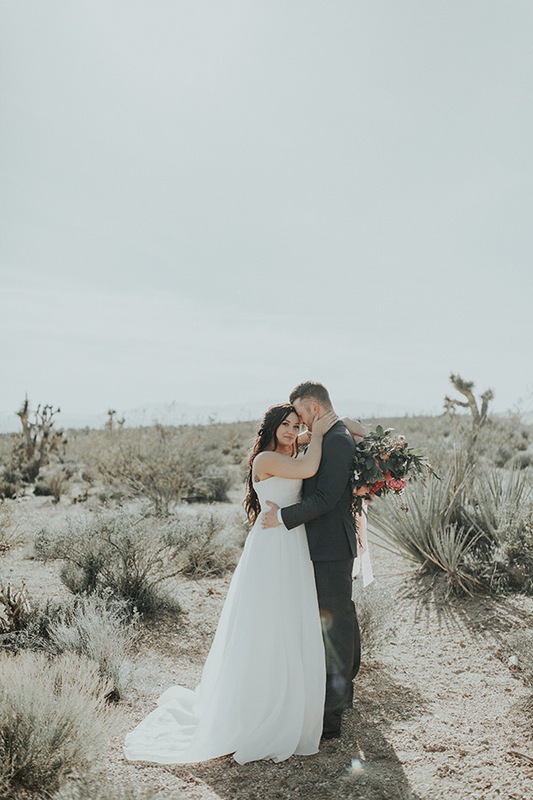 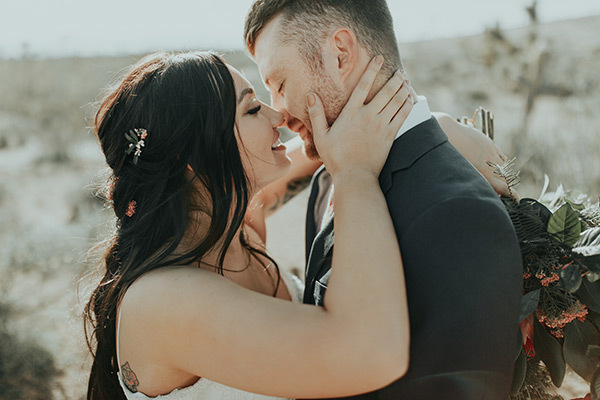 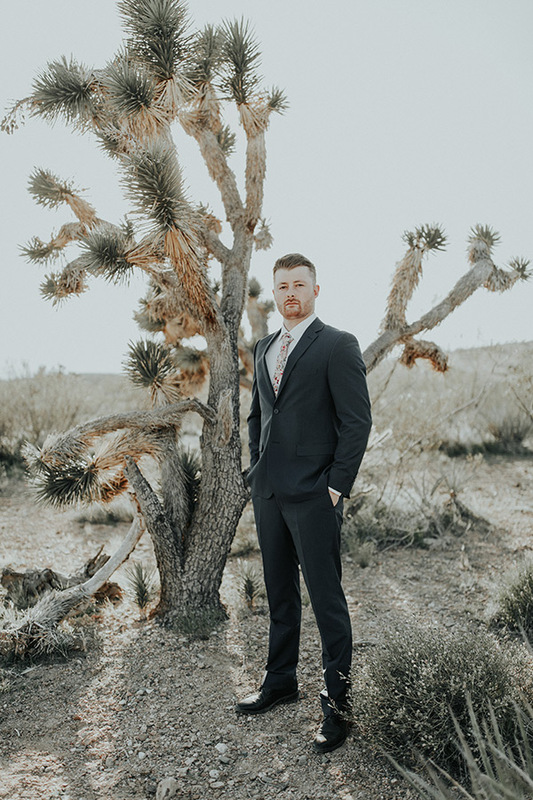 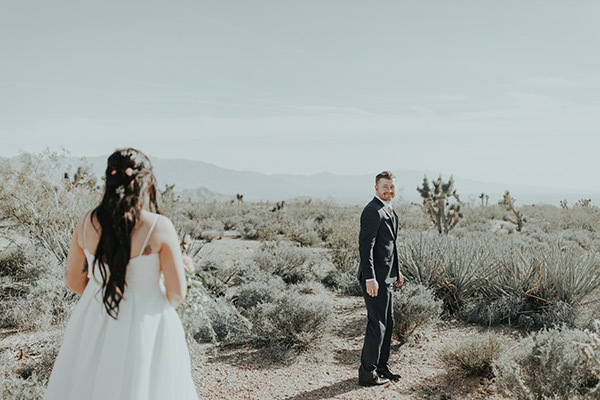 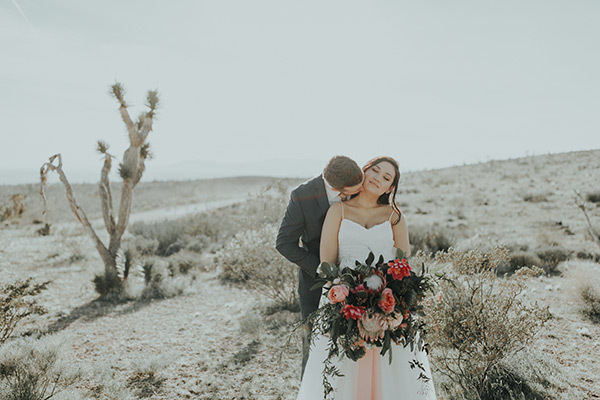 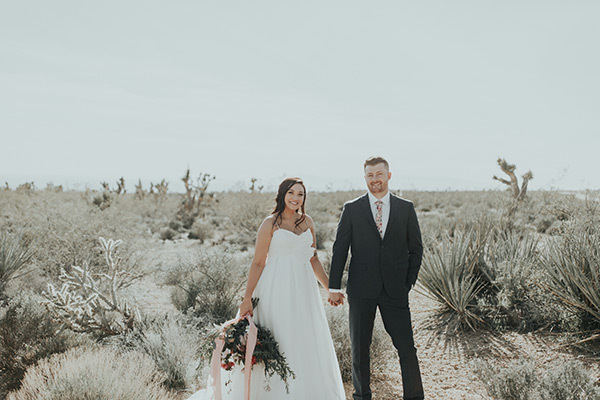 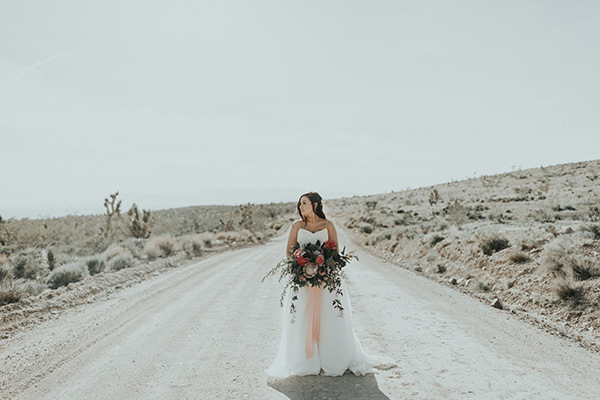 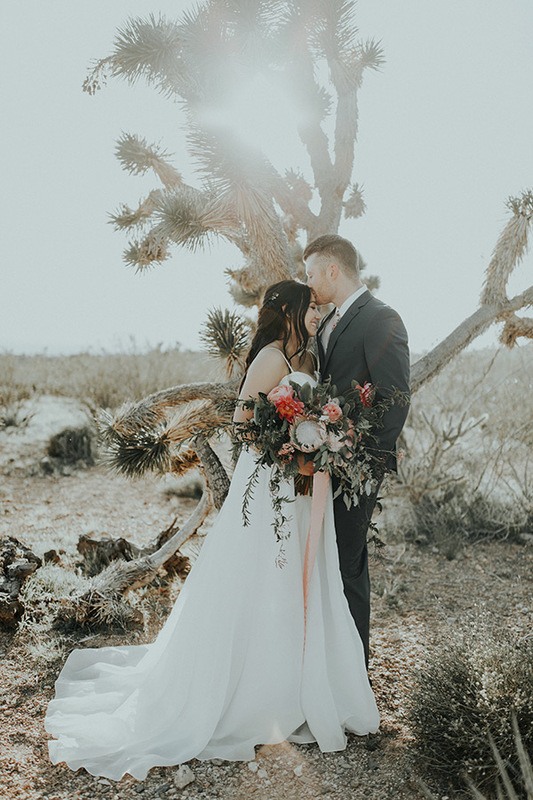 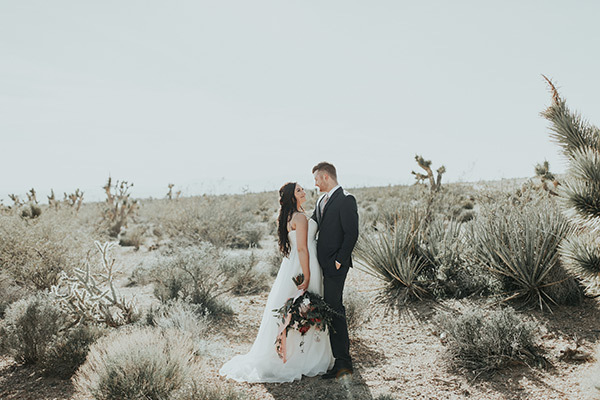 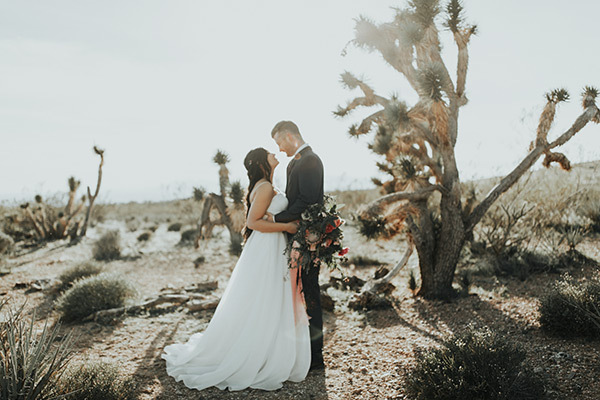 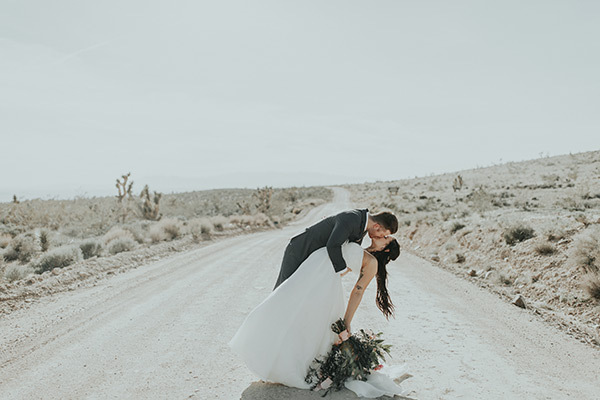 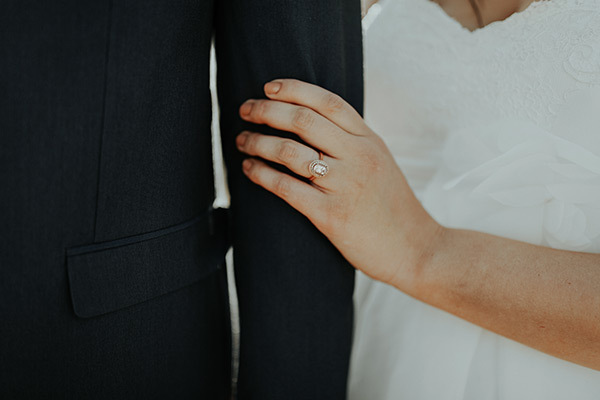 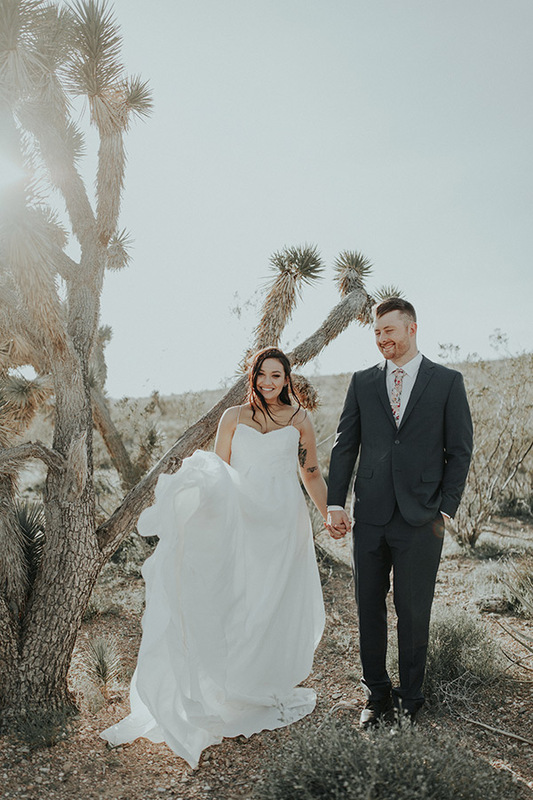 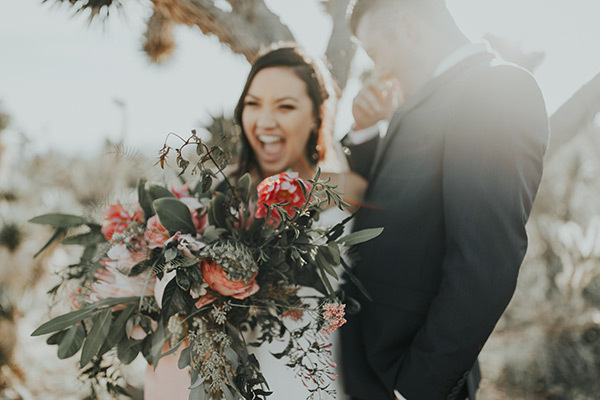 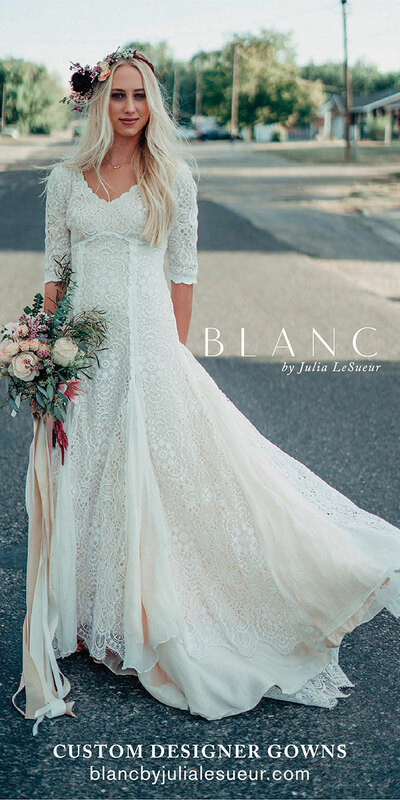 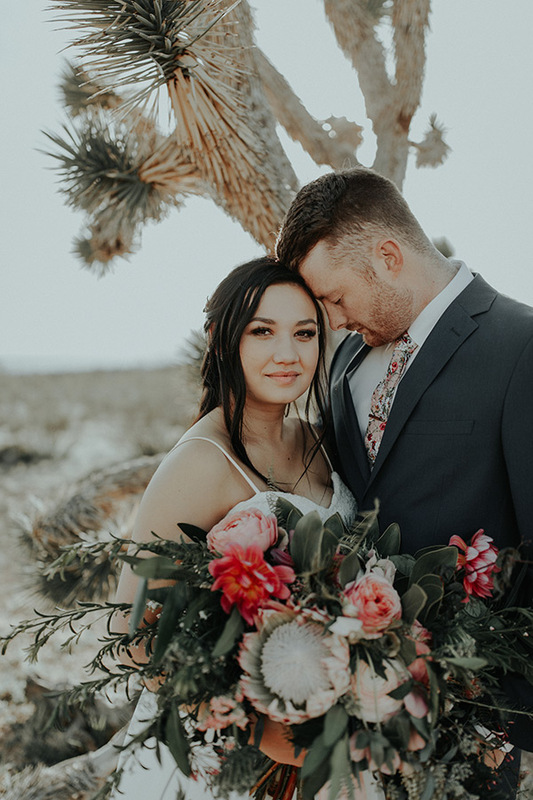 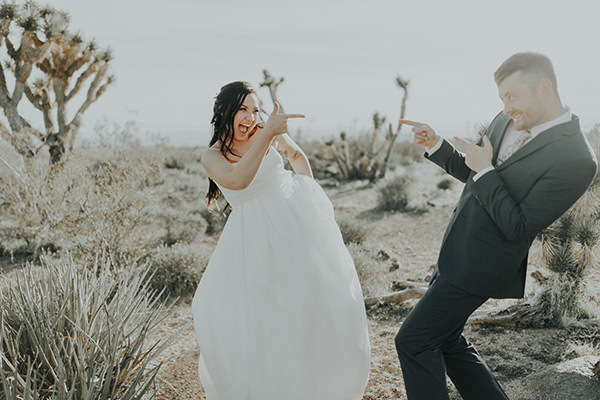 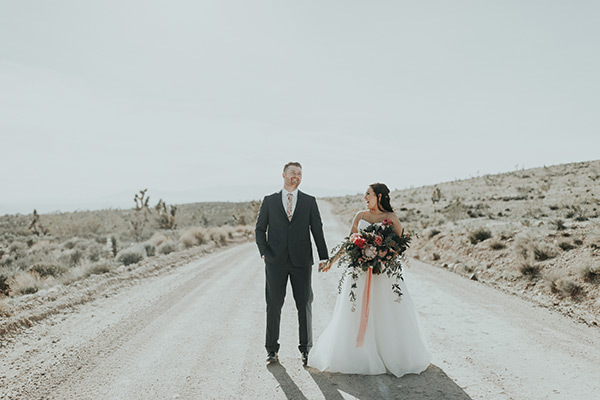 We are so enamored with these formals — the treacherous terrain, the bombshell bouquet, the perfect photography, and the lovely love. 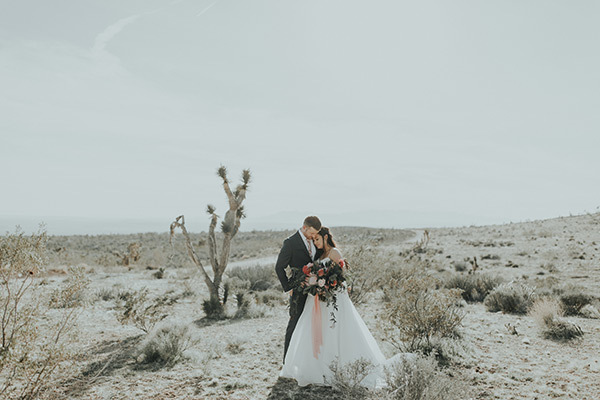 We adore the colors, the gray sky, the cool trees. 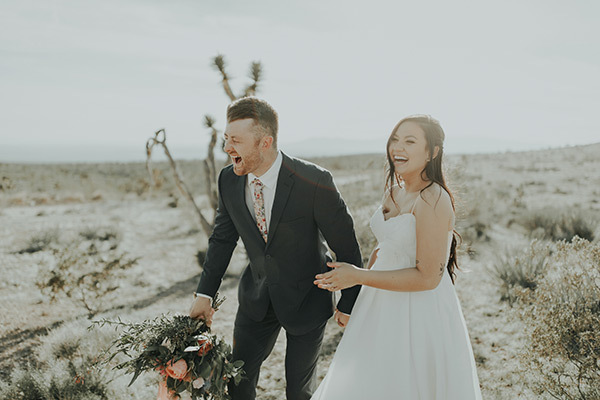 And we love this couple, with their gorgeous faces and incredibly infectious laughter. 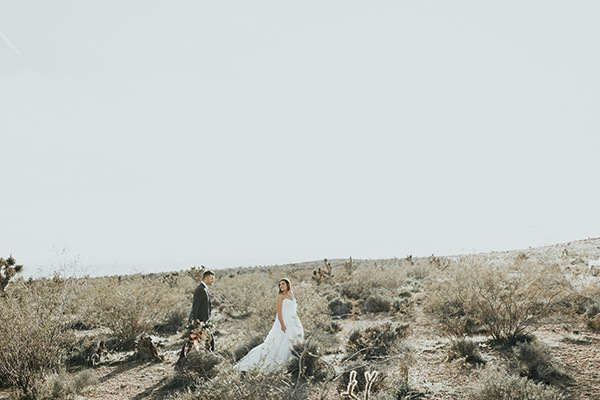 Want to be stranded with us? 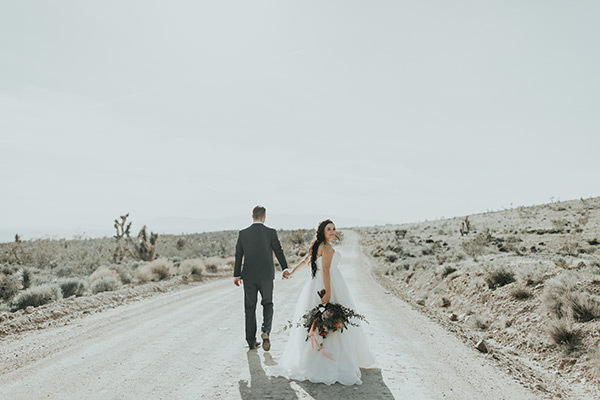 Come stroll + scroll.